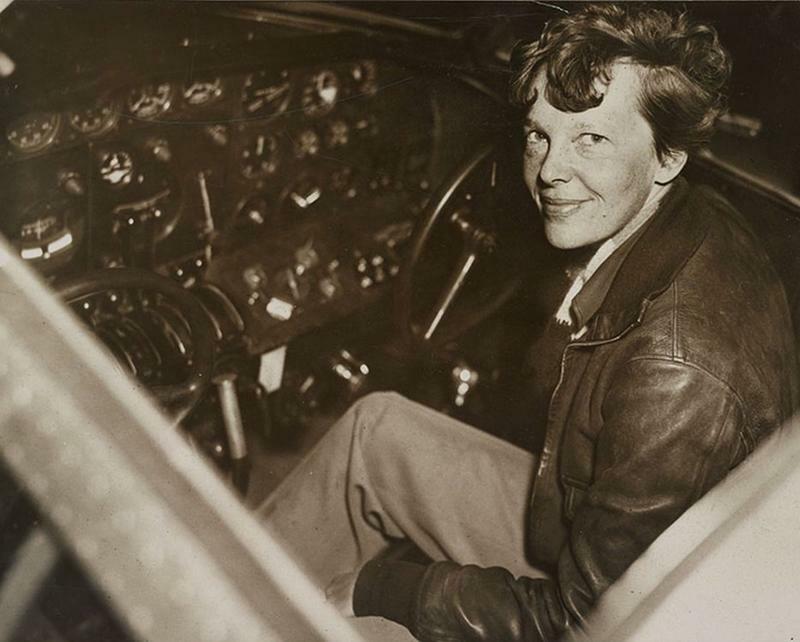 Amelia Earhart came down in history the first female aviator who flew solo across the Atlantic Ocean. She was grew fond of flying since her first 10 minutes flight on the Long Beach air show. 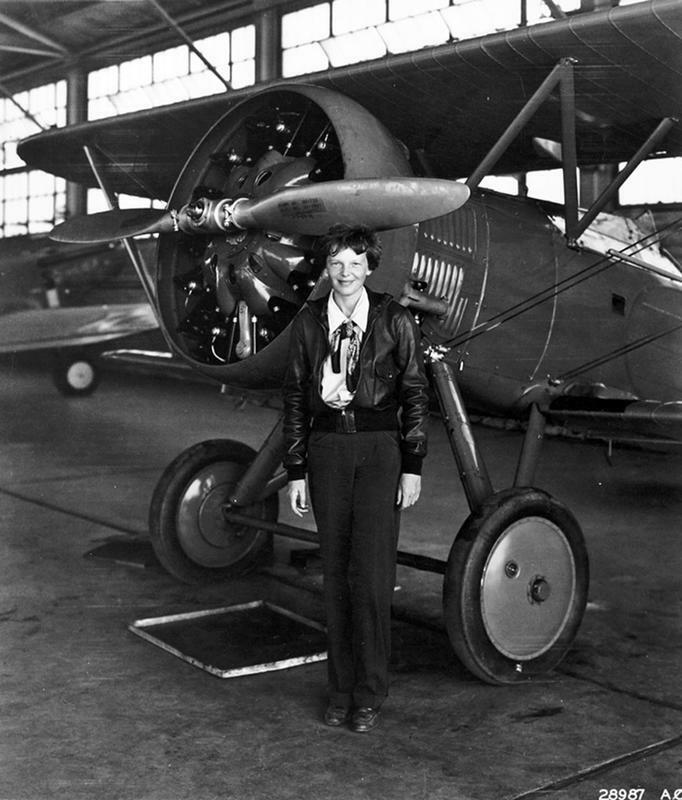 Lady Lindy (from the name "Lucky Lind," nickname for Charles Lindbergh) became the 16th woman who gets the pilot license. She has done a lot for promoting flying and ruining stereotypes about women: she wrote articles, sewn her own clothes that influenced women fashion, toured to lecture and much more. Amelia was all ready a hero in the public's eye even before her great flight. She hoped that she could change something in the world so that one day women and men will have equal chances to succeed in any field. 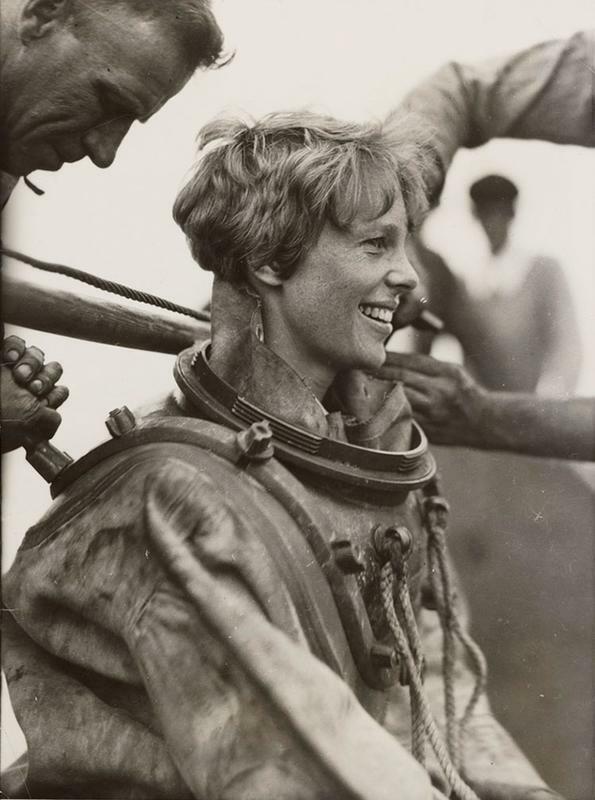 Amelia Earhart deep-sea diving off block island. On the morning of May 20, 1932, she took off from Newfoundland, and after a 15-hour flight, she landed successfully on the other side of the Atlantic Ocean, in Londonderry, Northern Ireland. 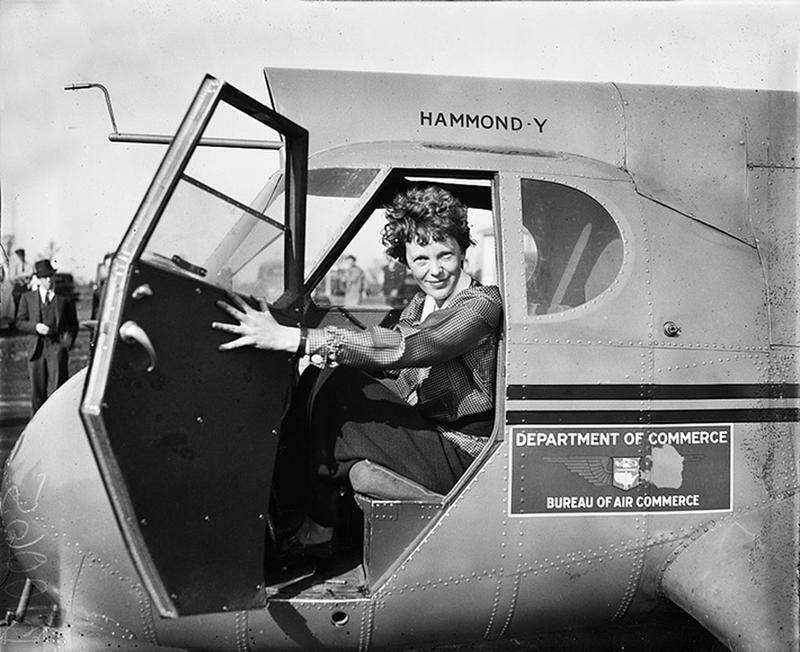 For that flight, Amelia received numerous honors, one of the most notable was the Gold Medal from the National Geographic Society. A few years later she decided to take a new challenge: be the first person to circumnavigate the earth following the equator. It was a crazy and dangerous adventure in 1937 - a time before radar, GPS or weather satellites. Aerial navigation was carried out by the Sun and stars. Her first attempt failed - the airplane crashed, two members of the crew backed out in the next flight, funds were depleted, and search for additional funding became a hard task. Amelia Earhart prior to last takeoff. The second attempt was in July 1937, the flight plan was in the opposite direction, to the East. Amelia Earhart and her navigator, Fred Noonan, had to fly about 22,000 miles from Miami to Lae in New Guinea in just 29 days. They had to fly over 7,000 miles over the Pacific. On the way to Howland Island, the airplane disappeared. There were many theories as to what happened: that they were captured by the Japanese forces, that they ran out of fuel and crashed at sea, that they partly landed on Gardner Island (now Nikumaroro). 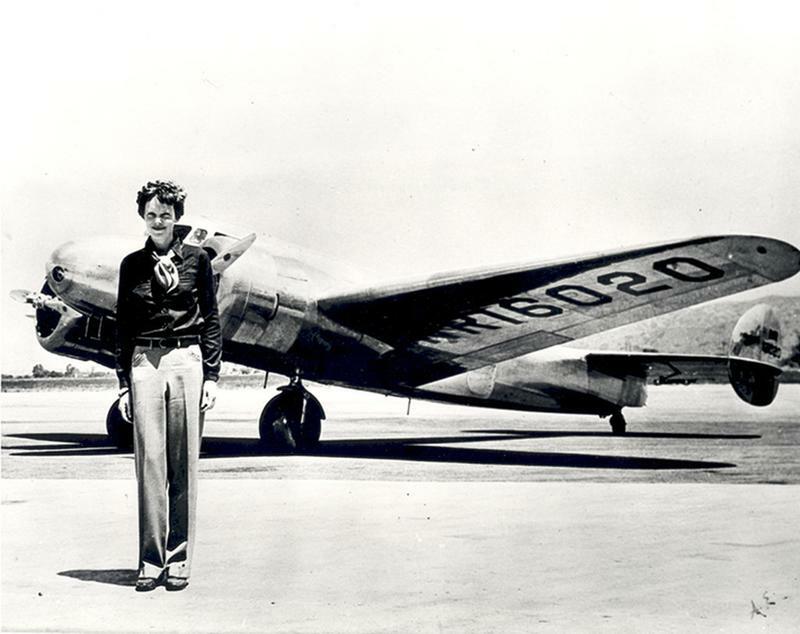 Amelia Earheart standing in front of the lockheed electra in which she disappeared in July 1937. Even now, almost 80 years later, an organization called The International Group for Historic Aircraft Recovery is still searching for Amelia Earhart and Fred Noonan. They've been searching in the South Pacific since 1989. The next attempt is scheduled on summer of 2017. The International Group for Historic Aircraft Recovery is fundraising right now. 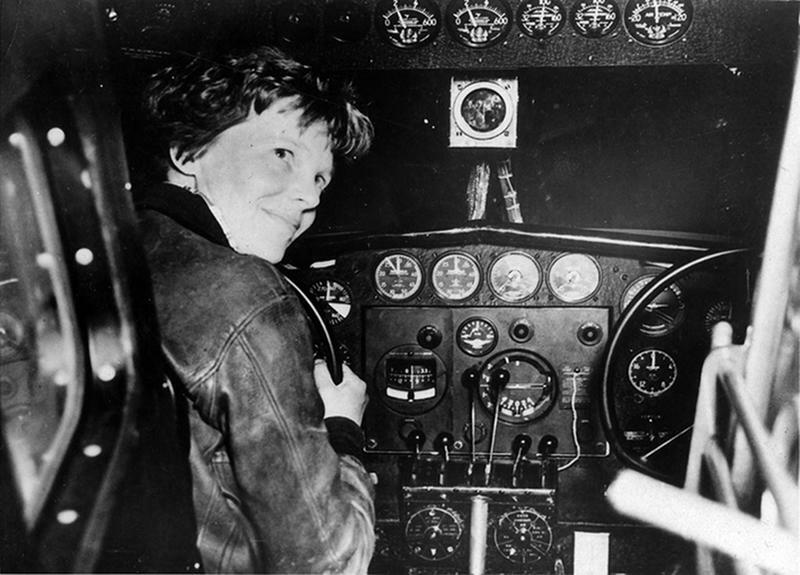 Amelia Earhart sitting in the cockpit of an electra airplane.